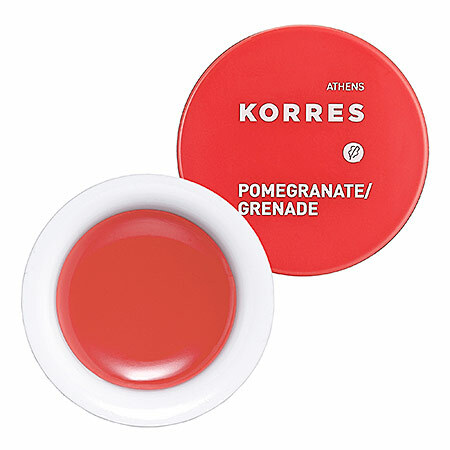 My lips have found their savior, and its name is Korres Lip Butter. While I've tried my fair share of lip balms, I've never experienced one quite like this. After each application, my lips feel soft, smooth and supple and -- let's face it -- they look utterly kissable. Each miniature tub (they measure just .21oz., but they each pack a mega-watt punch!) contains an intriguing formula that is free of mineral oil, silicone, propylene glycol and ethanolamine. What does it contain, then, you ask? This balm is formulated with shea butter and rice wax to hydrate, moisturize, repair, rejuvenate and nourish even the most chapped of pouts. I've been alternating between Guava, which slicks on clear, and Quince, which leaves behind the subtlest rosy sheen. Korres Lip Butter retails for $12 each at sephora.com. You've just completely tempted me~ I've been eye-ing this for a long time. Oooh, I've also been looking at these for a while! They sound awesome, and the price is something even I can afford :) Yay! I may just have to give in and get some. I'm always looking for great lip balm. fuzkittie -- If you get them, you'll have to let me know what you think! I am so addicted. jennbee -- I know, isn't it great that they're under $10? Let me know whether you try them out!